Kneading used to be a tedious and hard job. Everyone remembers having mix on their hands while kneading to perfection when this used to be done in an artisanal way. 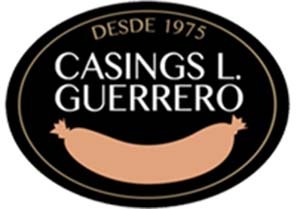 Nowadays, it is difficult to find a kitchen that does not use a mixer, blenders or even food processors that motivate us to prepare doughs for different dishes with a minimum effort, leading, therefore, to the readjustment of recipes. A blender blends and a mixer puts together the dough, and these two functions are programmed separately. But there also exist medium capacity mixers like the ones Talsa offers. This manufacturer and distributor provides bigger size mixers for an industrial level and its services are offered mainly to the meat industry. Although Talsa has been consolidated as the top manufacturer and provider of this kind of machinery all over the world, it doesn’t stop investing in R+D+i since this is the reason for the continuous improvement and transformation of their machines, always searching for a way to improve their latest version. As an example, in the world of sports, elite sportspeople collaborate with the big brands to determine together with their teams the inconvenients and virtues of the materials used and discover new ones that better lead to the wanted results, create more aerodynamic shapes, measurements, etc., leading therefore to the improvement of the sports brands. 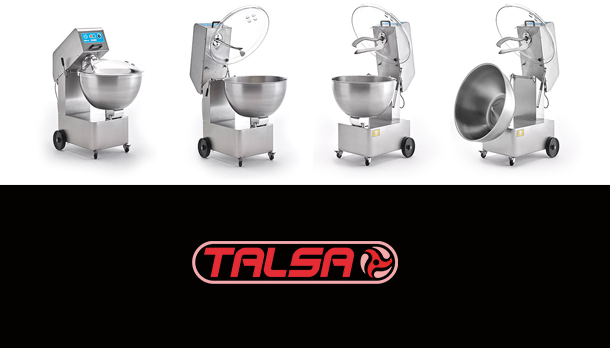 Talsa improved its mixers with a new spherical bowl, a new blade angle and shape designed in collaboration with the Department of Fluid Mechanics of the Polytechnic University of Valencia, UPV, within the CDTI European R+D+i project. Talsa knows that without its interest for improving itself day after day and the department created to achieve that goal it wouldn’t be in the top position it is now. Talsa knows a whole is made of many small parts that add up for excellency at the end and that without a good management leading the research, manufacturing, delivery and maintenance of its machines every day of the year it wouldn’t be able to lead the global market.